Purchasing a family-owned business that had been running for 12 years was a big jump for Marek Pawilcz, but he has more than risen to the challenge. He has been running AJ’s and Amber Taxi Ltd in Clacton-on-Sea since March 2016, having previously worked for the company as a driver. Feeling that the time was right to make the leap from employee to business owner, Marek stepped in when the previous owners of the business wanted to retire. In his first year, Marek has seen considerable business growth, recruiting the services of 16 drivers with a fleet of 10 company cars, and an additional 6 cars operating with their owners. We spoke to Marek about his journey from employee to employer. Tell us more about AJ’s and Amber Taxi Ltd? We aim to provide reliable, timely, and safe taxi services to locals and tourists alike, with door to door taxi services, airport transfers, school and hospital transport at very reasonable fares. 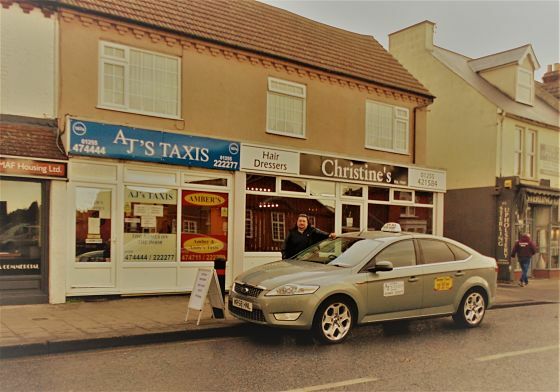 I am a man with a mission and, with existing contracts in place with organisations including the NHS and the local authority, I am in no doubt that AJ’s and Amber Taxi Ltd will continue to grow. I’m already looking to secure additional business and key clients by securing school contracts, hospital transport, care homes contract transport, and transport for people living with disabilities, to name just a few. We are committed and pleased to provide a reliable service for passengers with a range of disabilities. Our wheelchair access vehicles are especially designed for the clamps, restraints and seat belts. What have been the highlights of taking over the business? Having an already established client base provided a firm platform from which we could grow, and I’m grateful for the support of my customers. Our existing clients have been really supportive following the change in ownership and their continued patronage is testament that they are happy with our services. “I received 50 hours of support, which helped with business planning and finance, and attending free workshops, which are also available from Nwes. Have there been any challenges and how did you overcome them? Finding drivers with the right attitude, experience and the level of local knowledge required has slowed the recruitment process down. I used a Government jobsite to attract new staff, as well as offering incentives, such as financial support with the costs of new taxi license for successful applicants. With the support of Business Advisor Lou Cessford, I was able to apply for a Start Up Loan, which I used to purchase the fleet of vehicles. I also received 50 hours of support, which helped with business planning and finance, and attending free workshops, which are also available from Nwes. It gives you the feeling you have someone to turn to that will always provide you with support and advice. Nwes taught me how to consider both the short and long term plans for the business and how to forecast and budget effectively. As I continue to drive AJ’s and Amber Taxi Ltd forwards, I will still receive support from Nwes through the Start & Grow programme. I am looking forward to the opportunity to further grow the fleet of vehicles and drivers to support the people of Clacton-on-Sea and beyond.